Welcome to your one-stop shop for all your automotive needs! We are a complete automotive repair shop, muffler shop and machine shop offering a full range of repair service for cars, trucks, and SUVs ranging from new to 1920’s models. Our experienced technicians employ today’s latest automotive technology and are equipped to handle all major and minor repairs on foreign and domestic vehicles. 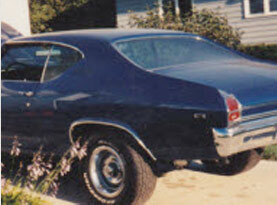 We also specialize in antique car restorations and antique car part sales. We understand that your vehicle is a major investment, which is why we care for each customer’s vehicles as if they were our own. 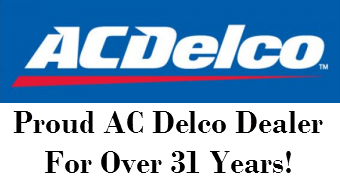 Call for an estimate or stop by our convenient location today! Midwest Auto Repair Center has been providing quality car care from our current location in Carter Lake, IA between Omaha, NE and Council Bluffs, IA for nearly 30 years. We started Midwest Auto Repair Center back in 1978 and have been delivering honest and professional automotive maintenance and repair services to the people of West Iowa and East Nebraska ever since. 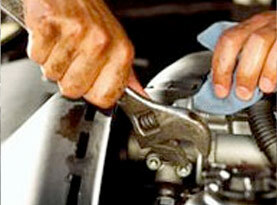 We are a veteran and family owned and operated mechanic business. 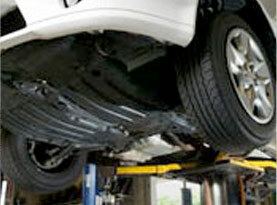 Our experienced and quality technicians at Midwest Auto Repair Center employ today’s latest automotive technology and are equipped to handle all major and minor repairs on foreign and domestic vehicles. 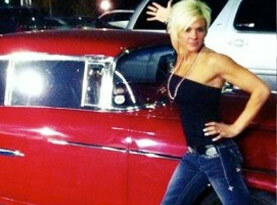 We specialize in antique car restorations and antique car part sales. We also have a muffler shop and one of the last true machine shops on site, where we offer engine machining, development, assembly and testing. We understand that your vehicles are a major investment, and that is why we care for each customer’s vehicles as if they were our own. Call or come by our clean, professional shop at 611 Wood Ave, Carter Lake IA 51510 today! Our goal is to try and meet the high standards you are looking for. 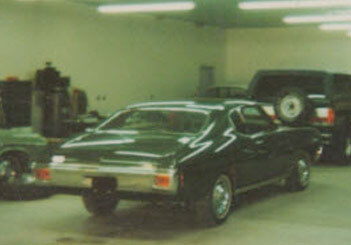 Midwest Auto Repair Center can do all kinds of restorations to your classic cars. After an inspection, we will consult with you and determine what needs to be done and what you would like to have done so we can get this restoration process started and finished! We look all the way forward to the final plan! © 2016 Midwest Auto Repair. All rights reserved.